* guy rips box... Mom get the camera! How are you supposed to "cook thoroughly" and "keep frozen"? it's gettin hot in here, so take off all your...pepperoni?? 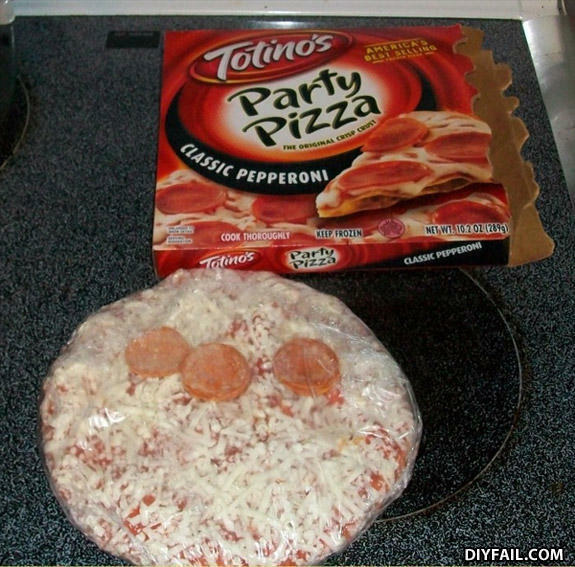 Not much party in that pizza. A combination of straw and legumes, much like heterosexual horses do.